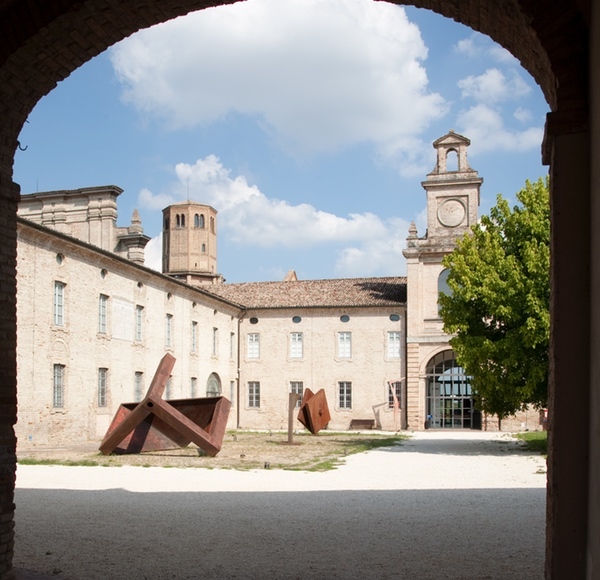 On the occasion of the 2016 Spring Edition of Mercanteinfiera, CSAC Archive-Museum offers a unique chance to all the fair’s visitors and exhibitors to discover the exhibition inside the Valserena Abbey, that brings together and conserves original materials of visual communication, artistic research and design in Italy starting from the first decades of the 20th century. An extraordinary legacy of over 12 million individual items: Fine Art (over 1,700 paintings, 300 sculptures, 17,000 drawings), Photography (with over 300 collections and more than 9 million images), Design (1,500,000 drawings, 800 maquettes, 2,000 objects and around 70,000 items from figurines, to drawings, sketches, clothes and magazines) and Visual Arts (100 original films, 4,000 video-tapes and numerous ancient movie projectors). The sixteen sections of the display are dedicated to themes that will bring out the complex nature of this Archive Museum, by showing cross-sections of its collections: from Fine Art to Fashion, from Design to Photography, from Architecture to Advertising and even Satirical Drawings, with works and projects from, among others, Lucio Fontana, Giorgio Armani, Gianfranco Ferré, Achille e Pier Giacomo Castiglioni, Nizzoli and Bellini for Olivetti, Man Ray, Luigi Ghirri, Dorothea Lange, Giò Ponti, Pier Luigi Nervi, Giuseppe Samonà, Armando Testa, Tullio Pericoli, and Vincino. -guided tour € 10: Saturday and Sunday at 11 am and 4 pm (no reservation required); from Tuesday to Friday (reservation required). The CSAC’s tales. Let’s plan together your artist book. The workshop (for children from 5 to12 years old) involves participants in the construction of new tales using characters/objects of the exhibition. The prices indicated above will be applied only showing the Mercanteinfiera ticket entrance or the exhibitors badge.